Choose your favorite topics and prove you're the best at answering questions! 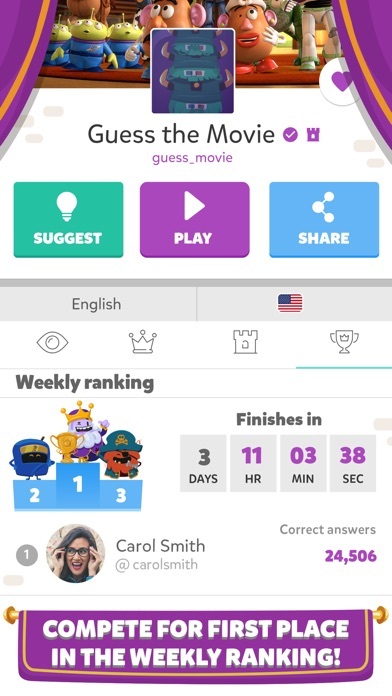 Test your knowledge with a game where true fans can compete and connect with their peers anytime and anywhere. From movies and TV series, to sports and history or culture and books: play and create your own trivias about any topic you can think of! Find every field of knowledge imaginable among the Kingdoms’ channels. There’s more than 150K options to choose from! The rules are simple: It starts with a set of 9 boxes. In them, you will find questions, challenges and all kinds of surprises that will help you unlock achievements throughout the Kingdom by putting your knowledge to the test. Pick a trivia, answer questions and find King Alex before your opponents with the help of the other dwellers of the realm! Enjoy some of the game’s features: Sign in with your Facebook account to challenge your friends or play with random users from all over the world! 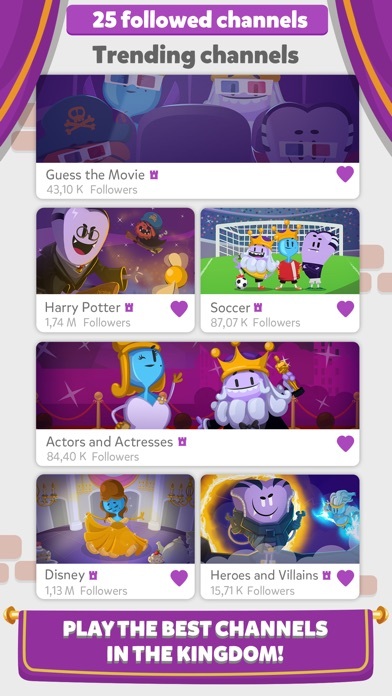 Bond over your common interests with other fans sending video, audio, and more with the app’s chat! 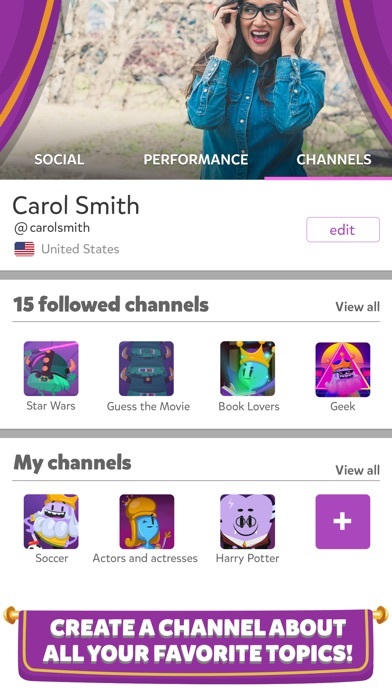 Create trivia channels based on your interests! Are you fan of hockey? Make a channel about it. Are you a Mexican cuisine expert? We could use a food channel! Can’t stop binge-watching a series with your friends? Maybe you can test their knowledge on your area of expertise. The possibilities are endless! Open boxes to find fun and unique characters! Each will set you up for a different type of challenge: Queen: Be quick on your feet! Answer five questions correctly in 30 seconds to get a special prize. Ukko: Get ready to answer expertly crafted questions. Stéphang: Answer three questions correctly to steal a crown. And these are just a few! Get localized content in 18 languages: English, Spanish, Portuguese, French, Italian, German, Dutch, Catalan, Russian, Norwegian, Swedish, Finnish, Danish, Greek, Turkish, Japanese, Korean and Chinese. Come join us! 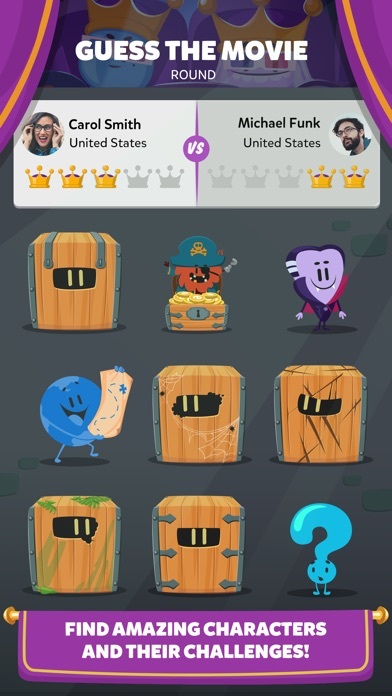 Defeat your opponents and crown yourself king in the land of trivia. Ready to prove you know best? 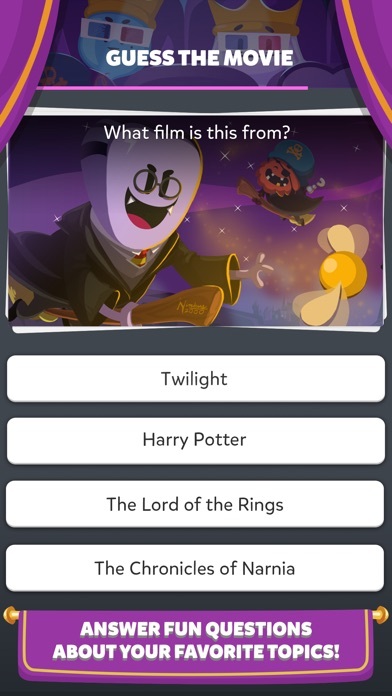 You can find out more about Trivia Crack Kingdoms on our website: http://triviacrackkingdoms.com/ And follow us on social media: https://www.facebook.com/ReinosPreguntados/ https://twitter.com/triviakingdoms If you’re having trouble with the app or have any doubts, you can contact us at: support@etermax.com Welcome to the Kingdom!